Delta Rolling Gates Provide Rolling Gate service & Iron Work For residential and Commercial, We are Manufacturing Rollup gates and security steel doors. 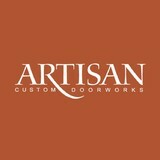 All Of our products Are build custom made Therefor They provide ionic look and maximum security. “Authorized Clopay Dealer” Cornwell Door Service is a family owned and operated overhead door company located in Lebanon Pennsylvania. Established in 1972, Cornwell Door Service has grown from a two-man operation into a company of more than eighteen employees. For more than four decades, Cornwell Door Service has set a standard of excellence that is unparalleled in the overhead door business. We believe that our greatest asset and our best advertisement is our satisfied customers. With more than 100,000 customers served, and over 130,000 doors installed, our reputation for quality workmanship and service speaks for itself. With every job, we strive to go above and beyond our customer's expectations! Throughout our storied history, Cornwell Door Service has forged a reputation for being a company of integrity. We are a company that goes above and beyond the normal standards for customer service. Cornwell Door Service has built a solid reputation in the overhead door business based on our commitment to quality, craftsmanship, and above all else, dedication to our customers. Smoker Doors Sales can help you whether you are looking for a replacement garage door, garage door opener or an entrance door for your home. Feel free to request a free estimate. 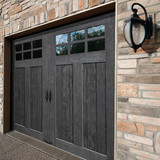 At Howell Door, we install the garage doors and openers from the most trusted manufacturers in our industry. Our goal is to deliver a quality product and unmatched service at a fair price to every customer we serve in the Greater West Chester area and along the Main Line. With the kind of service that can only come with generations of expertise, Howell Door is poised to handle any garage door installation or garage door opener service project. Working with Howell Door you can expect only the best products and service with the highest level of expertise for your garage door and opener needs. As a grandson of one of the founders of the original, “Howell-Dor,” I am proud of the name built by my grandfather, Harry Brennan. You can rest assured that you are working with a company with over 75 years in the industry. What kind of services do Pike Creek Valley, DE garage door dealers and installers provide? Garage door professionals specialize in the selection and installation of residential garage doors and openers that fit your budget, style and needs. This includes choosing a garage door style — or designing a custom garage door — that blends in with your home’s exterior, selecting materials, determining a technological system that supports your security and access needs, determining proportions and dimensions, finalizing decorative designs and ensuring that everything meets Delaware compliance and building codes. Find garage door sellers and installers in Pike Creek Valley, DE on Houzz. Narrow your search for Pike Creek Valley, DE garage door sellers and installers by selecting the nearest city or zip code. 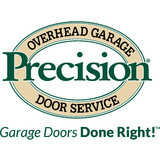 Look at portfolio and product photos, and read reviews to find the best Pike Creek Valley, DE garage door professional for your home.